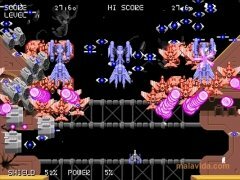 All kinds of 2D space invaders games have gone through the traditional video arcades over the years. And a good example of this kind of game is Reincarnation. 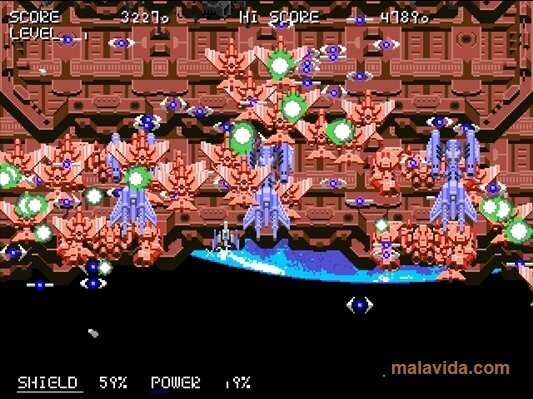 Like many others, Reincarnation put us in charge of a space ship that spends the full game avoiding being hit by the alien shots, while shooting with its lasers and bombs against the hordes that confront it. And all of this with an incredibly detailed 2D environment with a lot of light and flashes, something that has always characterized the games of this genre. Before we start each mission, we can choose what spaceship to use and the weapons that we prefer, allowing us to vary the configuration slightly, to change from more powerful weapons to other weapons that shoot a lot quicker, of a space ship that is a lot quicker and easier to maneuver or another one that is a lot more resistant,... in this way, you can adapt the games difficulty to your own liking. 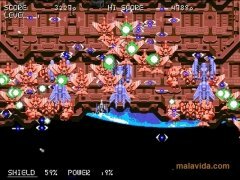 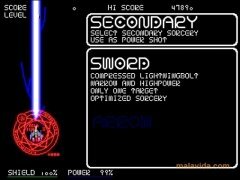 And of course, the game includes a final boss at the end of each level, to test how his skill increases as he advances. 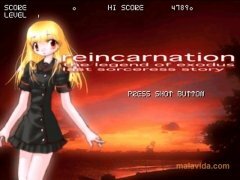 All in all, Reincarnation is yet another version of this type of space invader games, which is terribly addictive and very entertaining, as usual.